Incredibly versatile, our Rock Steady SandBag can be stored and transported empty, then filled with sand or other ballast (full water bottles work well) to the exact weight needed. When filled, the bag is ideal for stabilizing LiteStands and counter-balancing boom arms. The saddlebag design is great for securely stabilizing light stands. 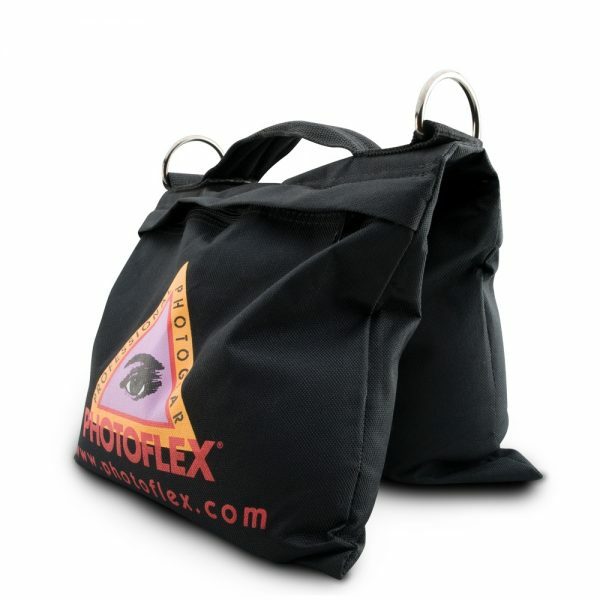 Heavy duty material and double-stitch seams provide strength, durability, and impact resistance. Double-opposing zippers ensures proper containment of ballast.